Leather, like riding boots and cardigans, is a staple of a well-stocked preppy wardrobe. 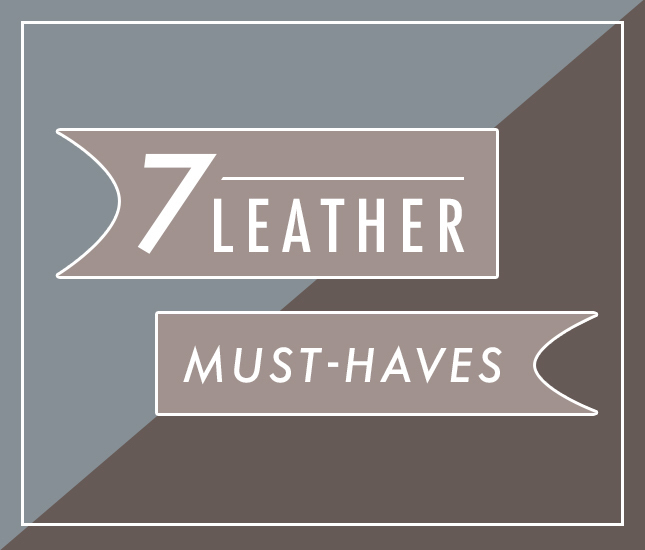 Not only does leather convey a classy, stylish aesthetic, but it’s also a practical purchase since it helps your favorite bags, shoes and accessories stay in good shape for longer. 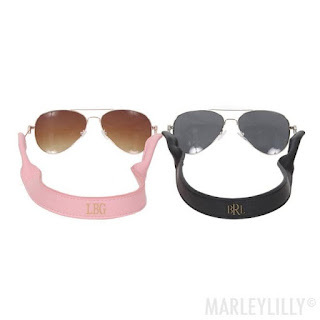 If you love leather or are just looking for a way to add some more high-quality pieces to your closet, check out this list of monogrammed leather must-haves that you're sure to love! 1. 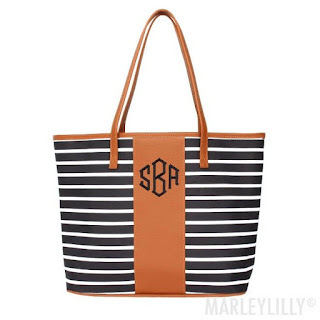 Monogrammed Tote Bag—This striped monogrammed tote is so cute! From the beach to brunch with your gal pals, this classy leather tote is a great accessory whether you're wearing a sundress or jeans and a cute top. 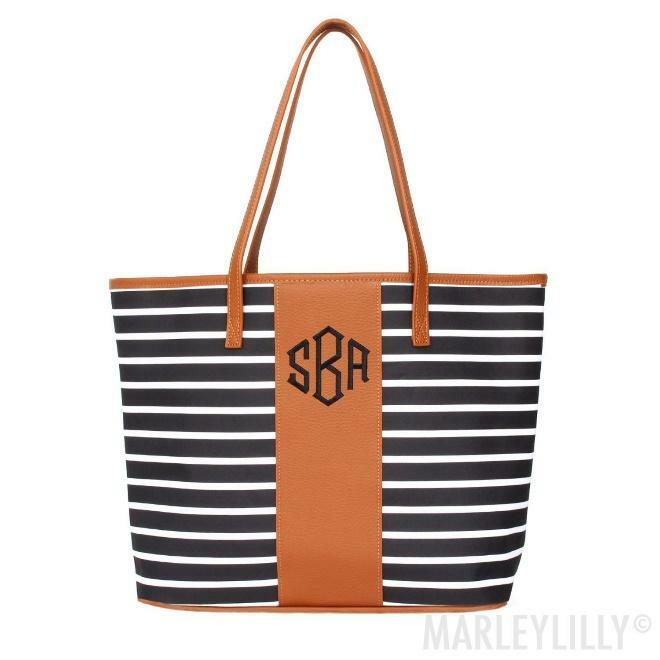 The black and white stripes make it easy to match with almost any outfit, so this would be a great tote to add to your bag collection. 2. Monogrammed Leather Wallet—Nothing says “must-have” quite like a wallet. Wallets literally hold our entire lives in them, from our identity to our credit cards, business cards, receipts and more. But while they’re holding everything that is vital to our everyday lives, they should also look stylish doing it. 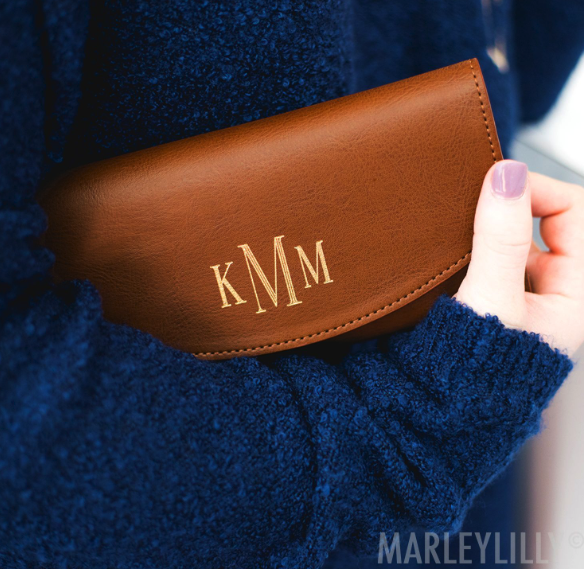 That’s why you’ll love our monogrammed leather wallet. Featuring your monogram on the front and multiple pockets for your cards and cash, this wallet is an absolutely necessity. 3. Leather Mouse Pad— This monogrammed mouse pad is for anyone who lives on the computer and takes pride in their snazzy office decor. 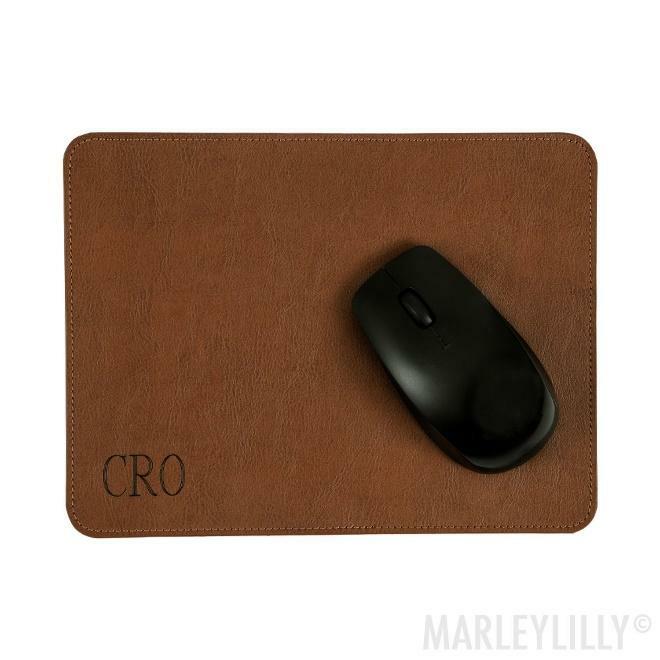 This mouse pad is sturdy and the monogram is lasered into the leather, so you won't have to worry about it being rubbed or peeled off. If you're a writer, blogger or simply have loads of homework, be sure to add this sleek mouse pad to your computer's accessories. 4. 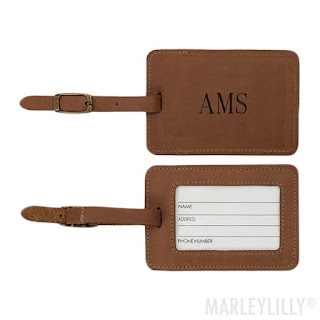 Personalized Luggage Tag—Calling all travelers! Hello! Isn't traveling great? The downside is that all things luggage-related make traveling a hassle. Packing, lugging your suitcases to the ticket counter and then the grueling wait for your bags to make it around the baggage claim conveyor belt after your flight. And how many times have you seen a bag that looks just like yours but isn't? This song and dance can go on and on if you have nothing to differentiate your luggage from that of others. A personalized luggage tag helps make your bags stand out. And it's leather! So, no matter how many trips you take, your luggage tag's durability will stand up to the challenge. 5. 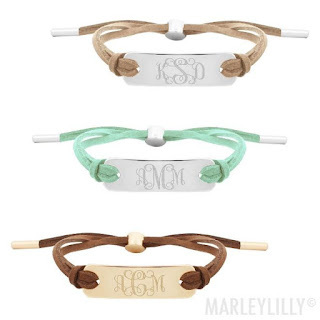 Monogrammed Suede Bracelet—How cute is this monogram suede bracelet? It is an adorable piece, available in four different colors and two different tones. Don't be fooled by its simplicity. This bracelet will make a great addition to any outfit, especially if you love the dainty or minimalist look that’s totally in at the moment. 6. 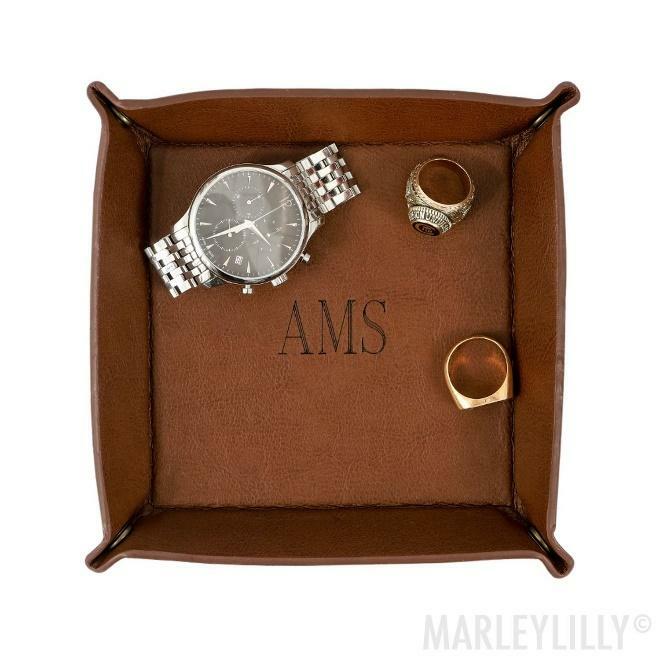 Personalized Leather Valet Tray—This is a must-have for anyone who loses their small belongings easily or suffers from a perpetually messy nightstand. We're talking keys, rings, earrings, cufflinks. This personalized valet tray makes a special gift idea for a loved one, especially the guy on your list who tends to toss spare change and other items directly onto the dresser without much thought. 7. Personalized Antiqued Leather Key Fob—How about a nice antiqued leather key fob to add a little swag to your keys? 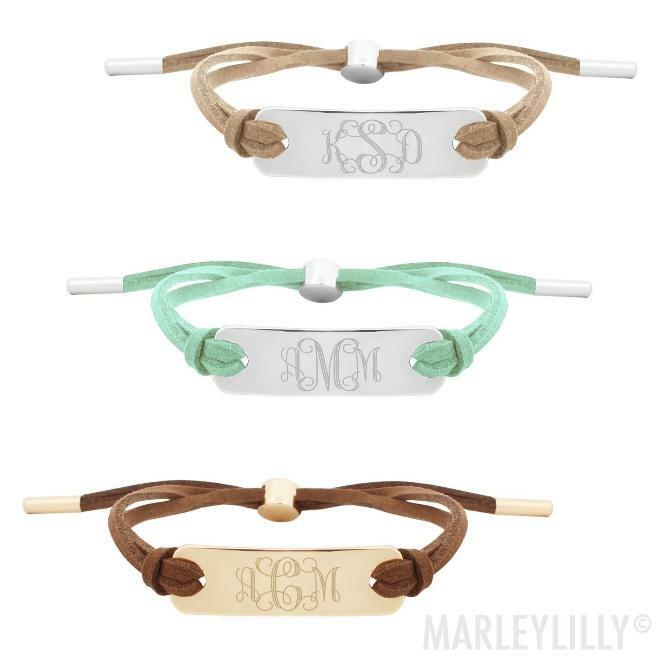 Not only does it pile on the sophisticated style with classy brown leather, it also has your monogram so that if you lose your keys (it’s bound to happen), everyone knows they’re yours. 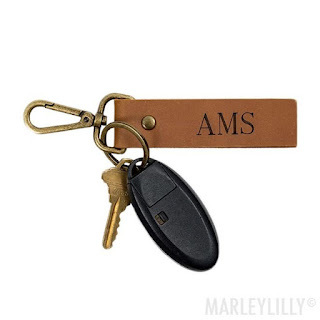 This key fob is made from leather, so you know it will help complement your vehicular style for a while.